After an entire month parked in one place, I think we were both excited and nervous to hook up and move the 5th Wheel. The goal yesterday was to be ready to leave by 9:00 a.m.; we were pulling out at 9:04. Had our automatic front supports/levelers worked automatically, we would have been out earlier. They had only been used three times since being repaired at our first campsite in Nashville, so now we’ll make a stop at Cullum and Massey on our return through Nashville at the end of the week. 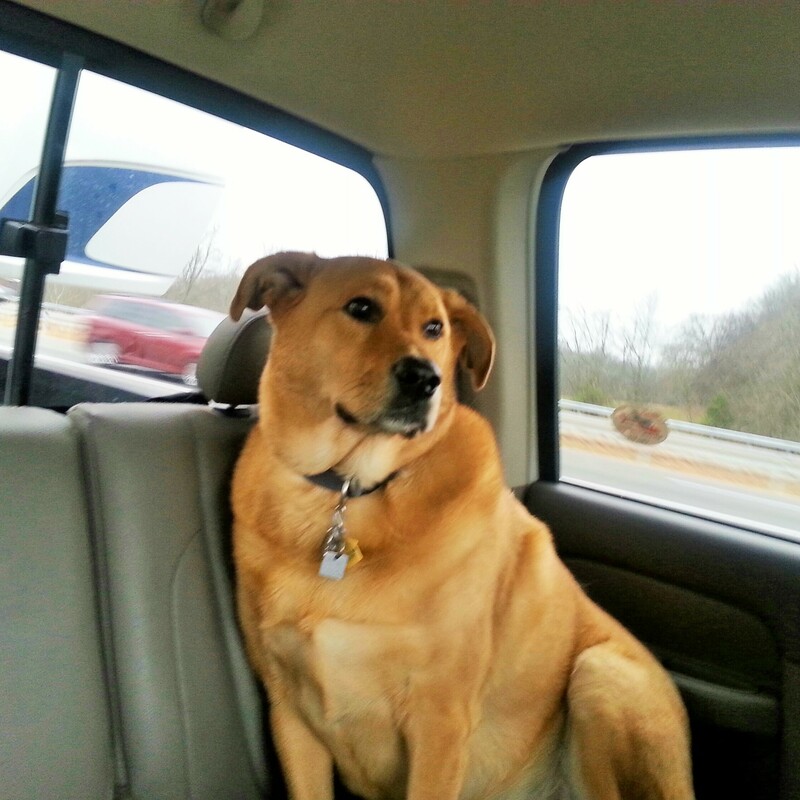 This was the first time Chewie and I have ridden in the truck with Jim while pulling the camper. Previously, we had followed in the car, but for this short jaunt north, we left the car in our camp site at Texas T. This was also the first time we have pulled the RV since getting everything loaded into it. The chore of moving the rest of the things out of the apartment happened after we parked at Texas T. We faced a really good test of the truck’s ability to pull since leaving the campground involved an immediate uphill ramp onto I-65 from a dead stop and coming up to speed to merge into traffic as he pulled the camper up one of the many hills of Middle Tennessee. The truck did well. 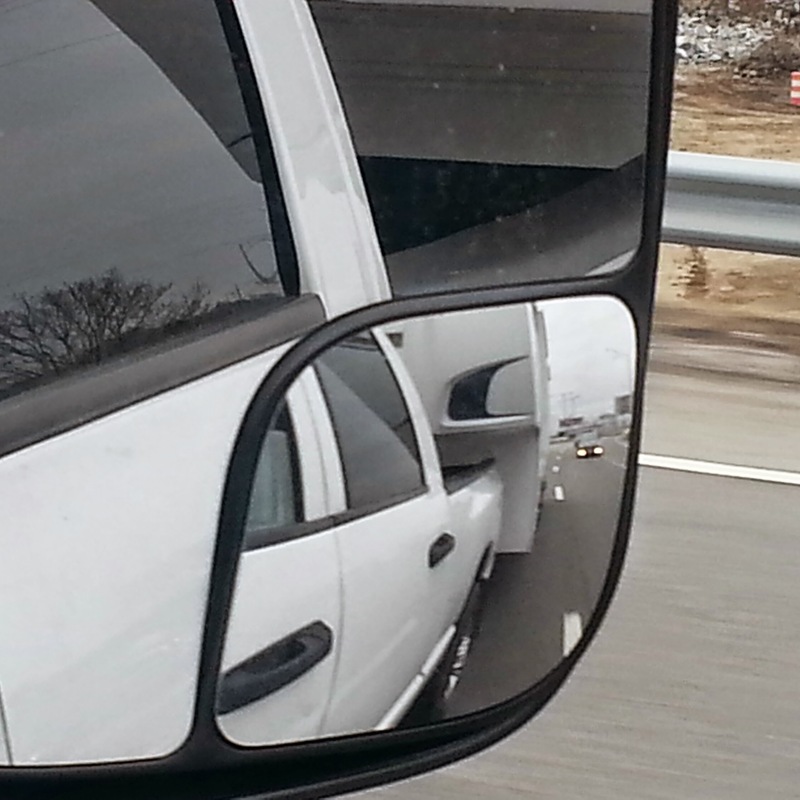 Also, Jim is getting really good and driving the truck with the camper in tow and keeping it between the lines. 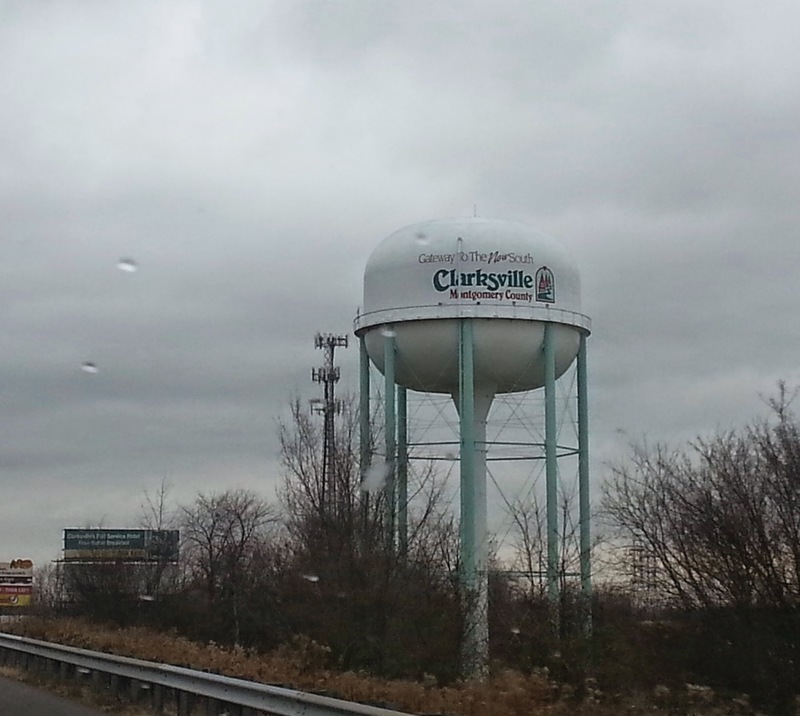 It was in the low 50s and overcast as we headed out. There was traffic, but it was not excessive. Soon we fell into a driving rhythm. 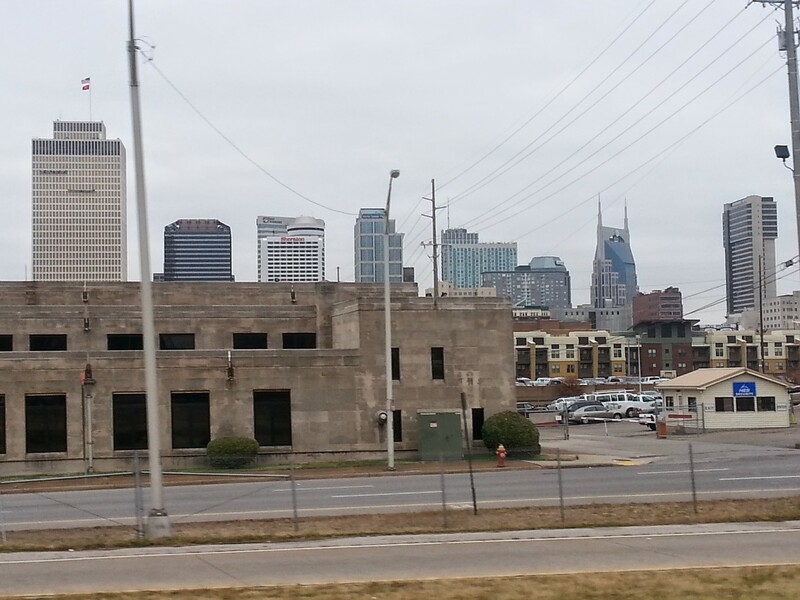 We knew our biggest challenge would be getting through downtown Nashville and the road construction at the I-65 and I-24 interchange on the north side of town. I think the only real scare was when we were at this construction area. 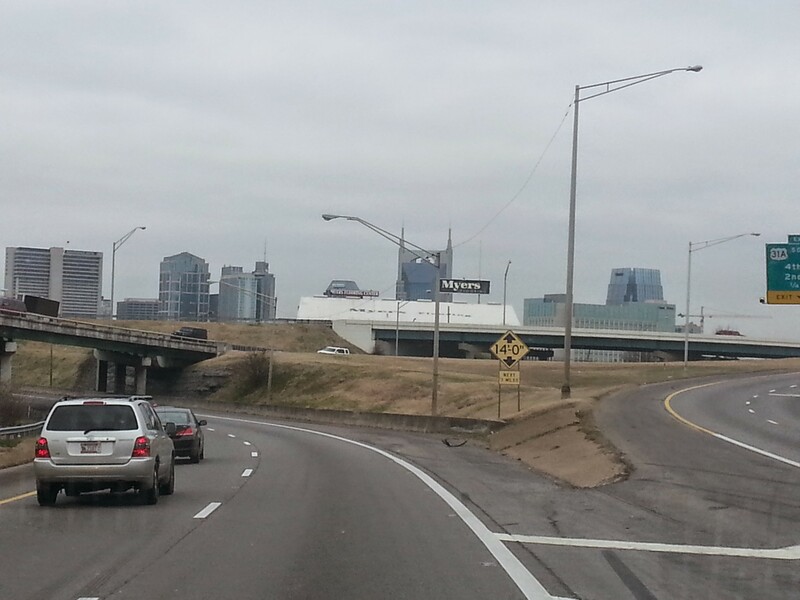 Only the far left lane could be used to change to I-24, so we had to drive close to the cement divider; the lanes were tight. A semi rushed past us on the right, doing well above the posted 45 miles per hour for a momentary scare. That was the worst of the driving for the trip up. 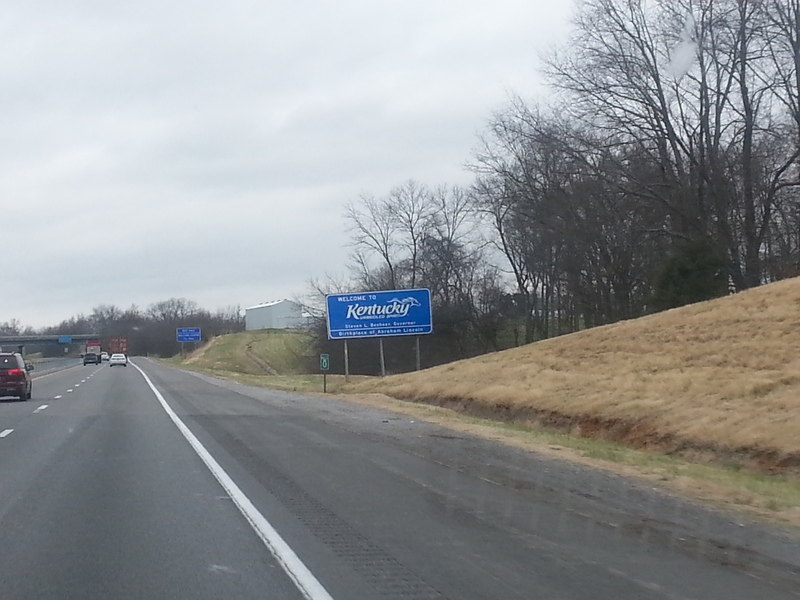 At this point, our trip was about 25% complete. 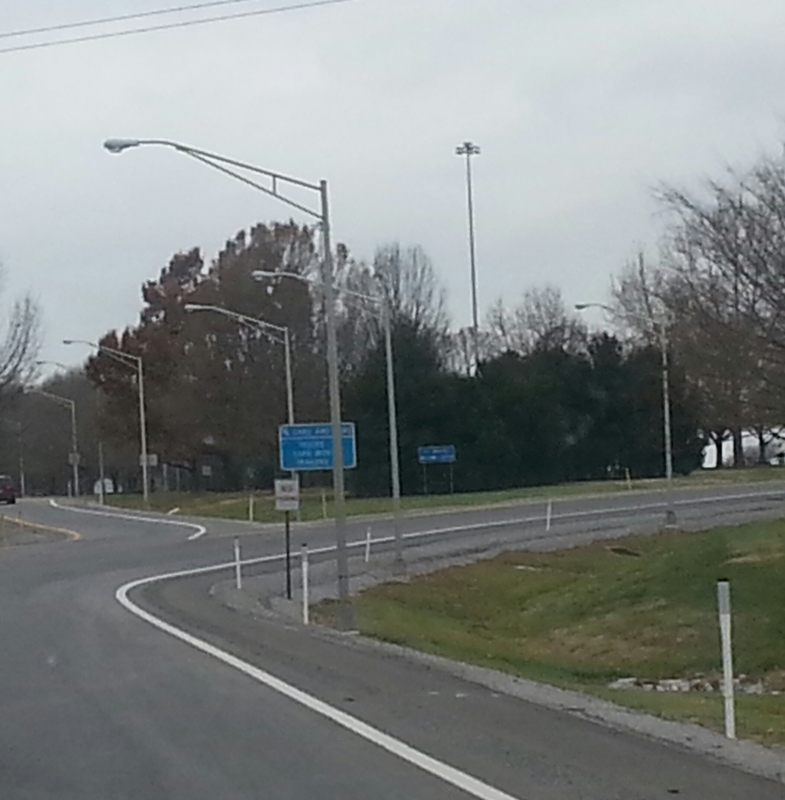 About half way to our destination is the Kentucky rest area on I-24 West as you enter Kentucky north of Clarksville, Tennessee. This was our designated “necessary” stop. It was here that a gentleman took up conversation with Jim as he walked Chewie. Looking at the rig, he asked us where we were heading. 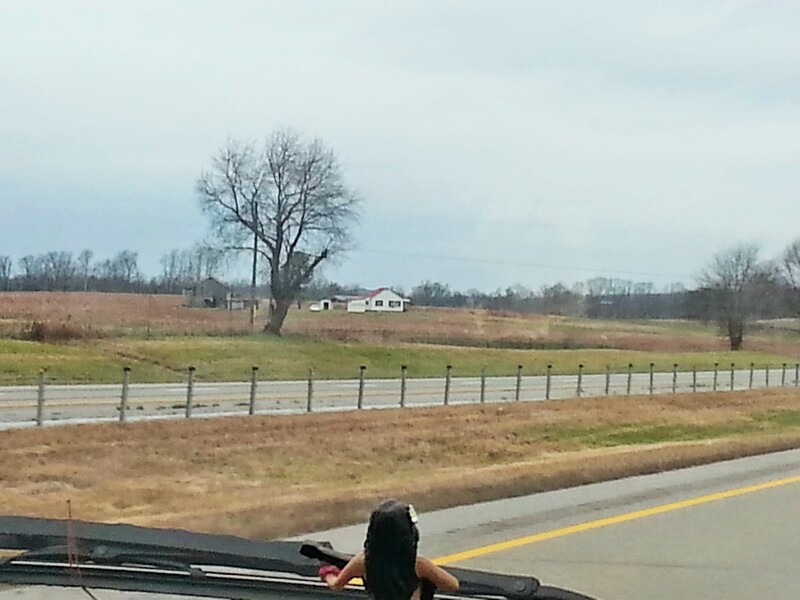 Keep in mind, we saw many RVs on the road yesterday – all headed SOUTH. I’m sure the man was wondering where this crazy couple was going in a camper this time of year. Jim explained that we were headed to visit family for Christmas before moving to Southern Alabama. That seemed to appease his fears for us. Chewie is happy to get out of the truck. 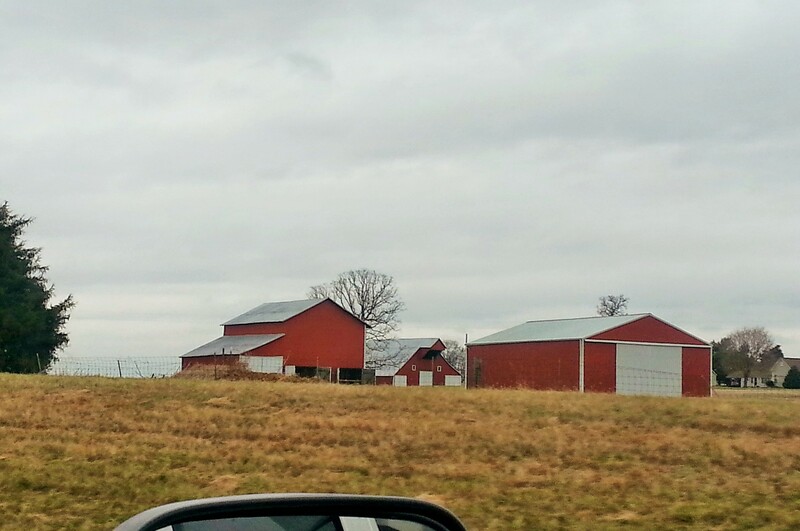 As we continued through Kentucky, the rain increased. 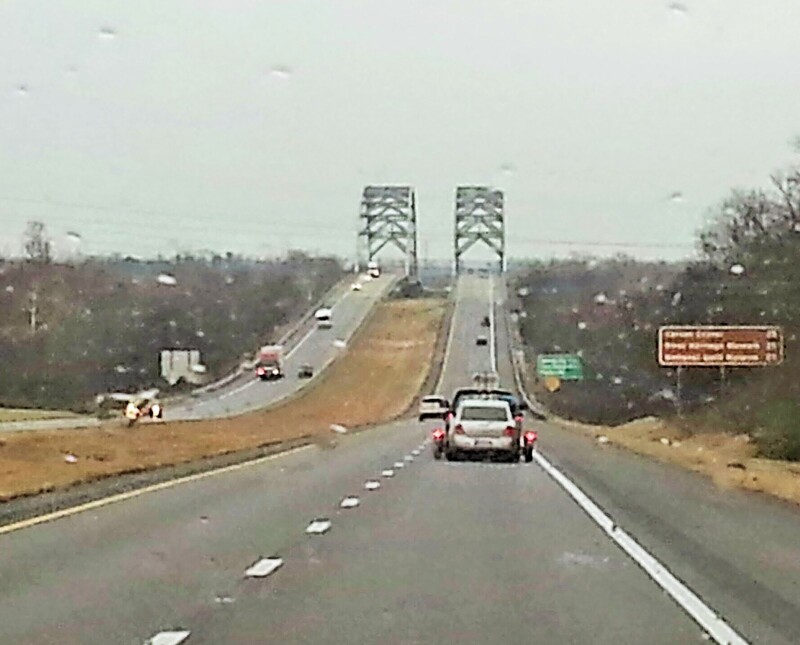 It rained steadily until we were almost to our exit in Paducah, which was exit 3 – just three miles from the Ohio River at Paducah, separating Kentucky and Illinois. 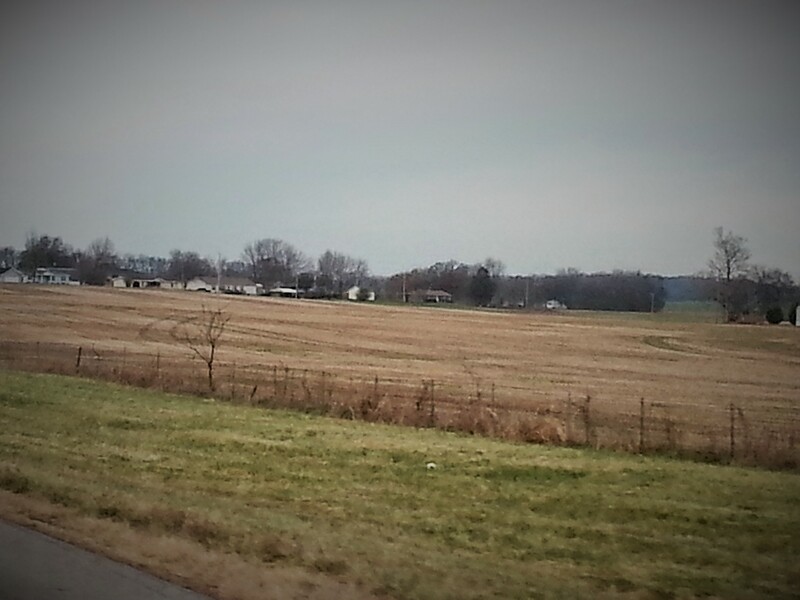 There is lovely farm land in this part of Kentucky; the pictures do not do it justice. 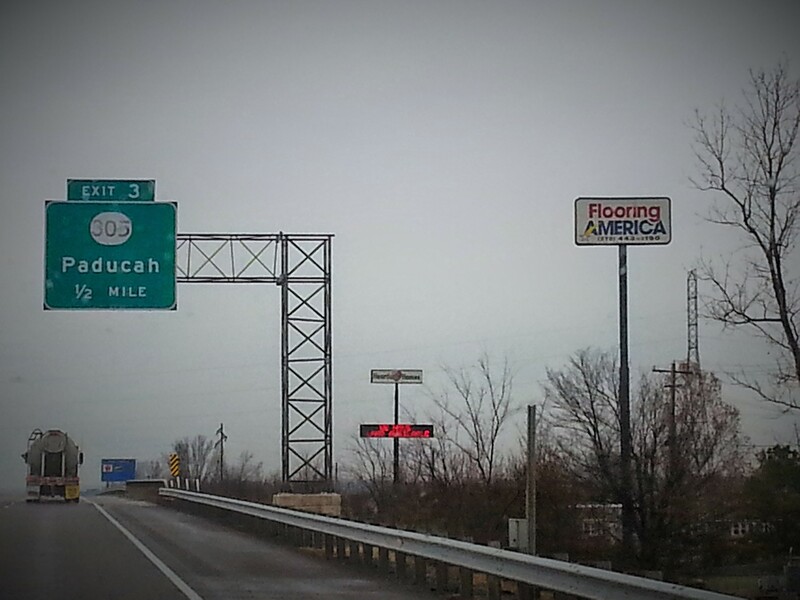 Luckily, the rain was easing as we reached our exit. 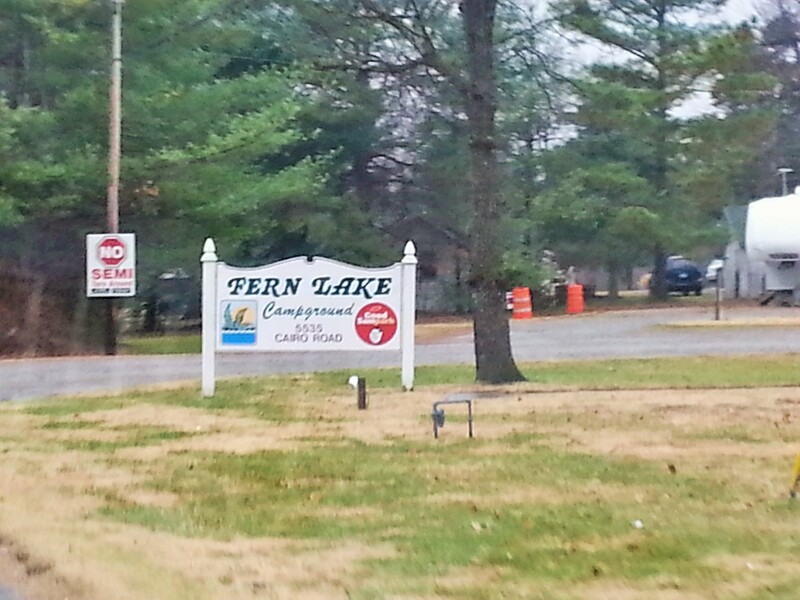 Fern Lake Campground is only about a half a mile off I-24, and it was found easily. The sites are very level, so Jim and I were able to get the camper set up and unhooked from the truck with only the slightest misting of rain. As soon as we were set up and the dog safely in the camper again, Jim and I went in search of food – not hard to find here. Our 200-mile trip and getting the RV set up at our new “home” took only 4 1/2 hours; we were very happy with this.